Alpacalachin Farms is a BVDV Free Herd! 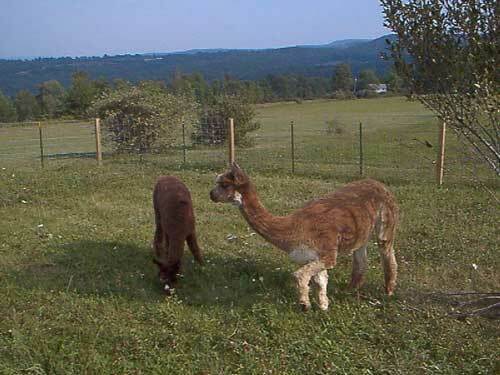 Alpaca boarding is available at $2.50 per day per alpaca. Boarding includes all normal care; grain, hay, pasture, fresh water every day, clean poop piles, and de-worming monthly and as needed. We will care for them as if they are our own. Consignment Sales from our pasture is also a possibility. Starting your own herd and still need to set up your pasture? Are you unable to keep your alpacas on your own farm? You still need them taken care of, so why not board them locally? Temporary and Long-term boarding are available. If you are interested please email us at and we will be happy to make arrangements with you and your alpacas.